Can I Take Melatonin While Pregnant? "Get some sleep while you can!" is advice often given to pregnant women, but it's sometimes hard to follow. A growing belly, new aches and pains as the body changes, and the inability to sleep on the stomach can all make sleep challenging during pregnancy. Some people who struggle with sleep turn to an over-the-counter supplement called melatonin. But the question of whether melatonin is safe to use during pregnancy is debated by experts and the answer is not clear. 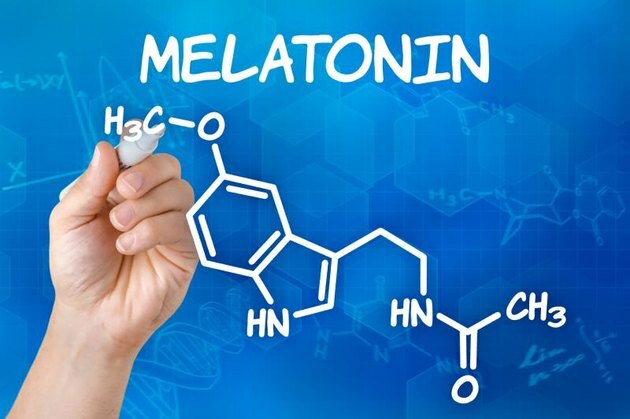 Melatonin is a hormone that helps regulate sleep and is primarily made in the pineal gland in the center of the brain. Darkness stimulates its production and its effects on sleep are often touted. But melatonin may also have an effect on the reproductive system in women, which is where the concern about its use during pregnancy arises. The level of melatonin in a woman's bloodstream varies with her menstrual cycle, and when it comes to getting pregnant, there are studies that show that in vitro fertilization is more successful when the woman takes melatonin. While no clear negative effect from taking melatonin in pregnancy has been identified, the link with reproduction is concerning enough to some experts that they recommend against pregnant women taking it. The United States Food and Drug Administration does not regulate melatonin since it is classified as a supplement and not a drug. It can be purchased without a prescription, and appropriate doses and safety are not clear. Those who travel through time zones and suffer disrupted sleep schedules due to jet lag as well as those who work through the night and need to sleep during the day often take it to help induce sleep, but how much to take and when to take it just hasn't been studied enough yet. Sleep is essential for both physical and emotional health, and, fortunately, there are many ways to try to enhance both falling asleep and staying asleep that don't involve any supplements or carry any risks. According to the National Sleep Foundation, preparing your body, your mind and your bedroom for sleep can all contribute to a more rested you. Create a "peaceful hour" in the 60 minutes before bed by avoiding strenuous exercise, stressful interactions and technology. Instead engage in relaxing rituals: Take a bath, drink a cup of herbal tea, turn down the lights or convince someone to give you a foot massage. All of these options are safe during pregnancy. If you are pregnant and struggling to get some sleep before your baby comes, see your provider before taking melatonin or any other supplement. There are some safe options for sleep assistance, but whether or not to take melatonin while pregnant is controversial enough that it should be discussed with your provider first.